WildStorm celebrates Battler Brittons 50th anniversary with this rollicking 5- issue miniseries from the hallowed halls of IPC, the legendary home of Englands greatest comics creations! As the Nazis rain terror throughout Europe, Allied forces are on the run in North Africa. Its October 1942 and Rommels Panzers are unrelenting in their pursuit. 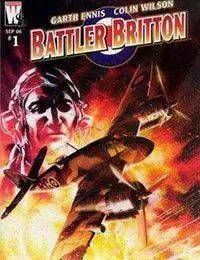 Wing Commander Robert Battler Britton of the RAF and his squadron have been dispatched to an American airstrip to spearhead a joint action against Hitlers war machine. Now they must survive taunts, threats, and assaults...and thats just from the Yanks!